Account owners can access billing invoices/receipts by going into the billing settings for a given project. 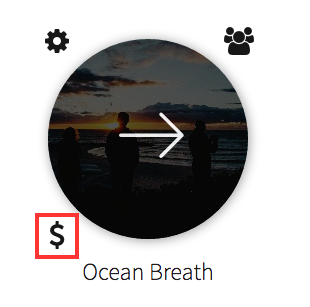 Open up the billing settings by hovering over the project thumbnail and clicking the “$” icon that appears in the bottom left. In the billing settings, scroll down the bottom and click “View Past Invoices”. This will open a popup window where you can view all the details about your billing account. On this page you’ll find a section for “Invoices” where you can view and download PDFs of specific invoices.